Designed around the Metro disc frame platform, Velocity open frame is our entry level Disc brake equipped model, Tektro cable disc brakes make this is a durable, practical bike designed to provide an excellent experience whatever the conditions or terrain. Practical, reliable and stylish. 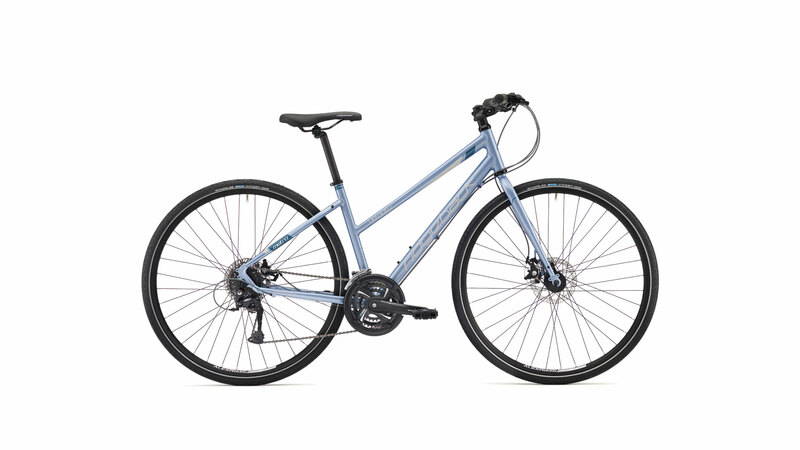 A Ridgeback Metro is the perfect bikes to get you from A to B.